Glulam (BSH) is a high-grade, wooden construction material that has been appreciated for many years. BSH is comprised of at least three dried planks or softwood lamellae glued in parallel. As a result of sorting the raw material according to durability and its homogenization thanks to its layered structure, BSH is an improved material which demonstrates a considerably higher durability than typical construction wood. BSH wood is an easily treatable construction material characterized by stable shape and practically no imperfections. 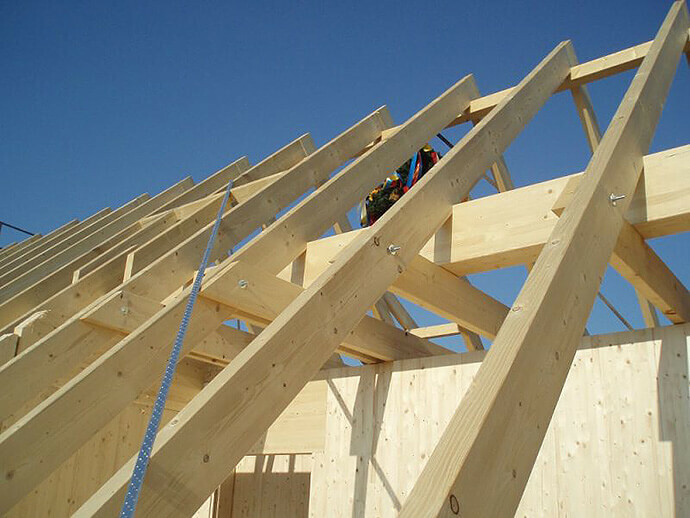 BSH wood is a suitable construction material in a chemically aggressive environment.